“The thing about festivals like this is that they attract some of the best in the world”. 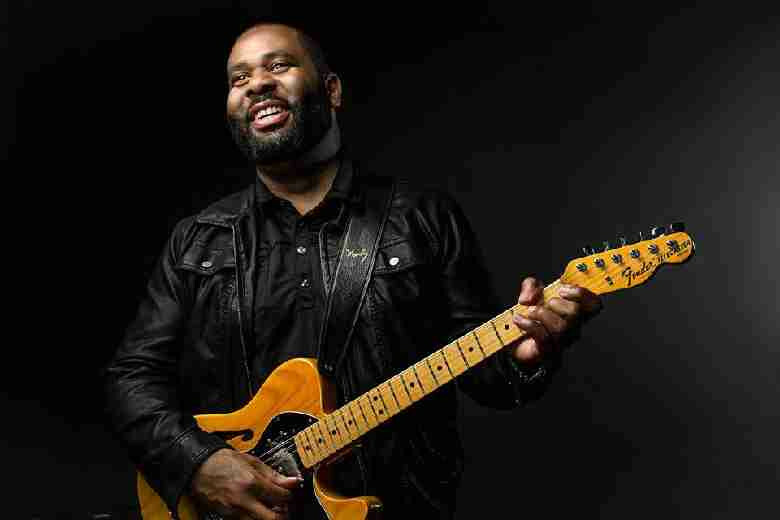 This statement – uttered in introduction to Kirk Fletcher’s Saturday afternoon performance on day two of this year’s Bristol International Jazz & Blues Festival – proves an apposite one. Over consecutive afternoons, audiences were treated to a contemporary blues’ masterclass as the Anson Rooms played weekend host to both Fletcher and fellow U.S guitar maestro Josh Smith. Adorned in a bright, flowery shirt and immediately exuding a genial charm, Fletcher doesn’t exactly appear as the archetypical exponent of a genre originally born of adversity and hard times. It’s a genre within which Fletcher vacillates between a more modern blues rock sound and a harkening back to its more studied origins. ‘You Need Me’ is an early encounter with Fletcher’s soul-filled vocals around which he blends sparse muted notes with choppy rhythms and his rapid but tasteful soloing skills. Fletcher’s virtuosity can be admired atop the backbone of the considerable talents displayed by two bandmates on drums (Matt Brown) and Hammond organ (Jonny Henderson). ‘Gotta Right’ is the first example of the latter instrument’s pleasingly psychedelic warble when amplified through a Leslie speaker and Brown’s drumming is at its most scintillating in the build up to a Fletcher solo spot during the fiery attack blues of ‘Two Steps Forward.’ Fletcher later thanks Bristol and the festival organisers for first bringing the triumvirate together for the event back in 2016. As with any expert guitarist, Fletcher is a joy to watch. He’s constantly busy with his volume and tone knobs and oscillates between pickup settings. He occasionally executes a leg kick on high register note bends, sometimes swoops on bended knee and often faces his head skyward in swaying concentration during his more frenetic guitar work. Fletcher, however, cuts a magnanimous figure in relation to his bandmates; after a particularly tasty late set organ solo, he can be seen mouthing the words “you the man” and he subsequently makes an enthusiastic arm pump in celebration of Brown’s octopoid drum solo. Elsewhere, one brave lady throws social embarrassment to the wind and takes leave of her chair to gyrate with abandon during the latter parts of the set. Somehow Fletcher manages to maintain his humble disposition when he informs us that he is proud to say that the trio have been nominated for four blues music awards; the brilliantly aching tone and rapid virtuosity of penultimate track ‘The Answer’ suggests that Fletcher – along with his bandmates – is worthy of every accolade that may come their way. 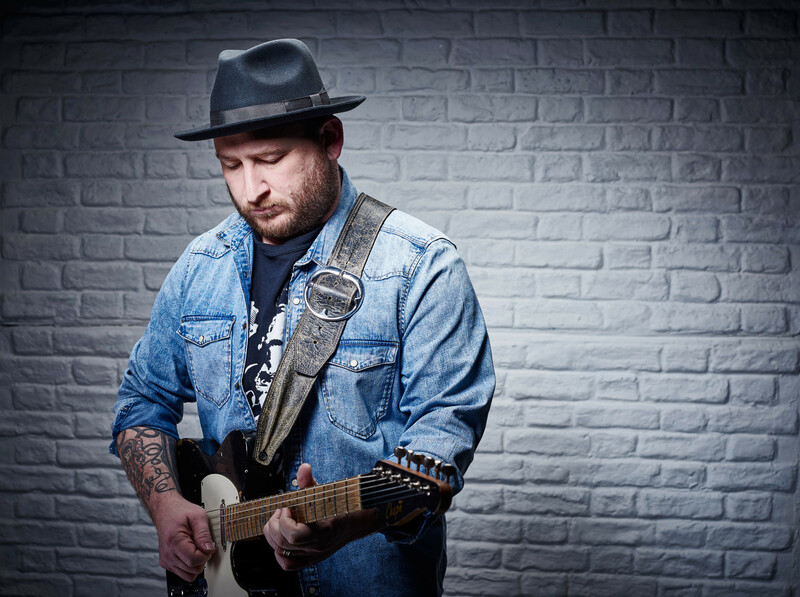 Previously described by Jimmy Thackery as being, even at the age of 14, “three heartbreaks away from being a true blues genius”, LA-based guitarist Josh Smith is introduced here as a mere “master of contemporary blues”. Launching straight in with some melodic soloing, Smith almost immediately justifies such exaltation; thus it’s all the more baffling when two post-middle aged ladies – who perhaps have just realised they’ve been sat at the wrong gig – take leave of their chairs during the opening licks. Introduced as the first song from the new record, ‘Half Blues’ reveals Smith’s talent for simultaneous riffing and singing, and his left leg rocks back and forth as a metronome-like backing to his lightning guitar work. ‘What We Need’, Smith’s imagining of “Charlie Parker writing slow blues for Stevie Ray Vaughan”, is stacked with myriad techniques – beautiful slow breakdowns, descending glissandos and dextrously delicate then rapid solo work. It’s also a track during which one Kirk Fletcher can be seen wandering to a viewing spot near the back of the hall. The funky ‘Letting You Go’ is a slight diversion and more “songy” than Smith’s blues rock template (Smith asks the audience to close their eyes and imagine the 14 horns that accompany the recorded version) while ‘When I Get Mine’ aptly demonstrates his variance of technique, including an amazing moment where multiple notes strikes and some interpersed embellishments with his pinky give of the impression of double tracked guitar parts. Smith, adorned in his trademark fedora and having already showcased his sparkling ability to shred, jokingly declares mid-set that “We’re gonna stop holding back and up the ante”. Completing the trio, Smith is joined by musicians – as proficient as you’d expect someone like Smith to surround himself with – on bass and drums. During the instrumental ‘Penance’ (written for his wife), Smith is at his expressive best; his weeping licks and emotive tone capture a gorgeous aural lament of a presumed romantic misstep. Elsewhere, blues rocker ‘First Hand Look at Down and Out’ – “in 7/8 time if you fancy dancing” – includes fizzing powerchords and an extended use of wah-wah and ‘Where’s My Baby?’ sees Smith take to fingerpicking and, after a neat melodic segway into ‘Mister Sandman’, ends with a call and response contribution from the audience. Whether or not the 39 year old Smith has by now achieved Thackery’s aforementioned hat-trick of heartbreaks, we indeed appear to have been in the presence of a true blues genius. Tagged bristol international jazz and blues festival, josh smith, kirk fletcher, review, scott hammond. Bookmark the permalink.